The Arnold Bernhard Library is under construction, expanding its north wing to create a larger space for the Learning Center, which will be moving from the first floor of Tator Hall to the Arnold Bernhard Library and will be expanded into the Learning Commons. 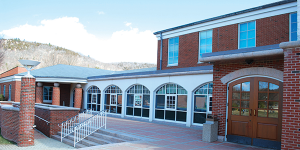 Delohery hopes the construction will be completed by July 1, so that the staff members will have sufficient time to prepare before the fall 2013 semester. Delohery, along with Executive Vice President Mark Thompson and a group of faculty and staff members, recognized the need to create a space for students to apply their knowledge in more than just tests or quizzes. The Learning Commons was planned around a central area where students, faculty or staff members can interact with each other. Grindel said that the name for the Learning Commons comes from the idea of town greens or commons, which are places where everyone in the community can collaborate openly and feel welcome to share their ideas. The multi-use space will also house the elements of the Learning Center that students are familiar with, including peer tutoring, study groups and academic counseling. In addition, the QU Seminar and Writing Across the Curriculum offices will be located in the north wing and will be collaborating with the Learning Commons. Other services and student resources may also eventually move to the north wing. Delohery said that the goal of the Learning Commons is to teach the difference between lower order thinking, which is simply collecting information, and higher order thinking, which uses that information to create knowledge and apply it to a job or internship. The Learning Commons will occupy the majority of the north wing, while the Executive Vice President’s office and other administrative offices will be in a separate area of the wing. Grindel hopes that the informality of an open, collaborative area will not only provide access to tutoring help close to the library, but also take the pressure off of students attending office hours with their professors. The Learning Commons will also be incorporating academic advising into their services this coming fall.